Transportation has yet to experience any major transformation from Blockchain, yet certain blueprints and ideas keep flowing from published articles. There seems to be no end in sight for the changing price of a Bitcoin, and new cryptocurrencies seemingly emerge every month. Is there a permanent home for cryptocurrency and its underlying Blockchain technology in Transportation? Blockchain continues to grow in popularity as transformative concepts of removing intermediaries via machine-to-machine payment systems seems too good to be true. A Transportation Blockchain system that matches a Shipper and a Carrier to move goods, and is settled with a speedy low cost exchange in cryptocurrency can be a significant solution, especially to cash strapped carriers who operate on thin margins. According to Investopedia, there are six main cryptocurrencies, and Coinmarketcap lists 1,450 cryptocurrencies with a growing market cap of $580B, with the top six representing 73% of this market cap. It is estimated that the global circulation of cryptocurrencies to be more than twice this amount. Put in perspective, the Federal Reserve reported the US money supply in July 2013 as $1.2T. This makes cryptocurrencies a material form of exchange, especially in the global market. Identifying the market cap or global circulation of cryptocurrencies as material does not prove they are mainstream, especially in the US market. Based on my research, there are early cryptocurrency adopters, but they mainly exist in B2C models. The B2B models, such as Shipper to Carrier, are mostly blueprints and concepts. However, as quickly as you can refresh your Google search, new innovative options appear on the horizon. Before we explore payment options, let’s agree that cryptocurrency is here to stay. As the adoption and popularity of cryptocurrency grows, financial institutions are removed as an intermediary in B2B transactions, lowering their margins. As monetary policies are impacted by cryptocurrency, it’s a sure bet that government oversight will follow. Although the US government has been mostly mute on cryptocurrency, recent voices strike a cautionary tone. In late 2017, the SEC issued a harsh warning that it may consider cryptocurrency coins or tokens as securities. How the SEC defines a cryptocurrency as a security versus a currency-like exchange of value is critical to understand the direction of cryptocurrency as a B2B tool. Therefore, we can conclude by the mere fact of their acknowledgement by the US government that cryptocurrencies are here to stay. So how and when should Shippers and Carriers deal with cryptocurrencies when the government has yet to issue guidance? For a Shipper or Carrier, there is no compelling reason yet to make investments in your back office systems to accommodate cryptocurrency. Why? Because you can let others do it and avoid the risk of the US government changing your roadmap. What’s promising for the Shippers and Carriers is the private Blockchain technology or permissioned ledgers. 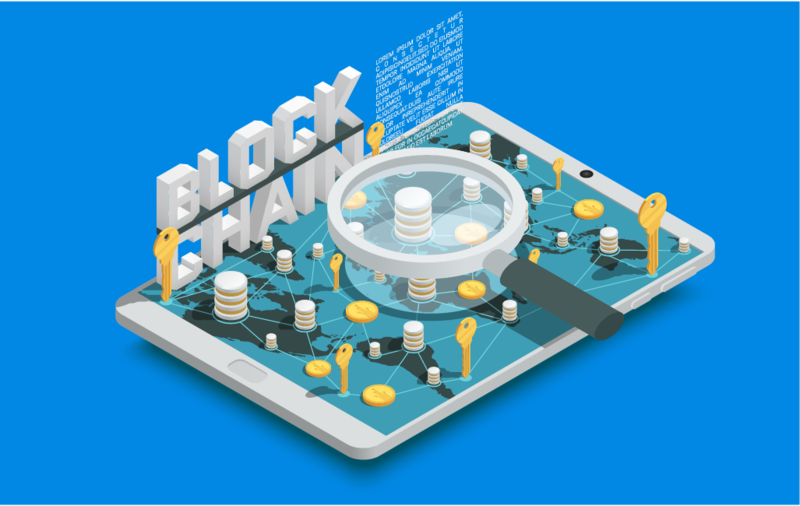 A private Blockchain is managed by an organization or members of the organization who have been granted permission to use that Blockchain. Permissions essentially work like Google Sheets as participants are approved and added to a private community of Shippers and Carriers. Private Blockchain transactions are more advantageous as they are fast and efficient, while public commercial transactions require more data to process. For Transportation, a private cryptocurrency Blockchain makes a lot of sense. One of the main purposes of cryptocurrency in a community of B2B companies is the credit-card like properties of the coin. The owner of the coin has its ownership properties captured in the Blockchain. Once the coin exchanges hands the new owner now has its ownership title imbedded in the Blockchain. What’s interesting is one can follow the entire transaction history of the coin, providing greater confidence that what’s in circulation actually belongs to the community. Other benefits of using cryptocurrencies include speed of settlement and confidence in a community member’s credit-worthiness. In summary, cryptocurrencies are coming to Transportation, but maybe not in a form currently recognizable. Be patient and observe the market’s experiments and failures to minimize your risk, but remain optimistic and consider adoption once the early players and innovators deliver to the marketplace.